Peloponnese is the richest in history region of Greece. The number of castles, ancient sites, temples, sanctuaries and even medieval towns is quite imposing and touring them all requires lots of time. If you plan a trip to Peloponnese, it will be hard to choose among all these interesting places, so check out 8 of the most significant and visited historical sites where the spirit of ancient Greece is still alive. These two sites are actually one and the same, as Acrocorinth is the acropolis of Ancient Corinth, occupying a hill with majestic views. 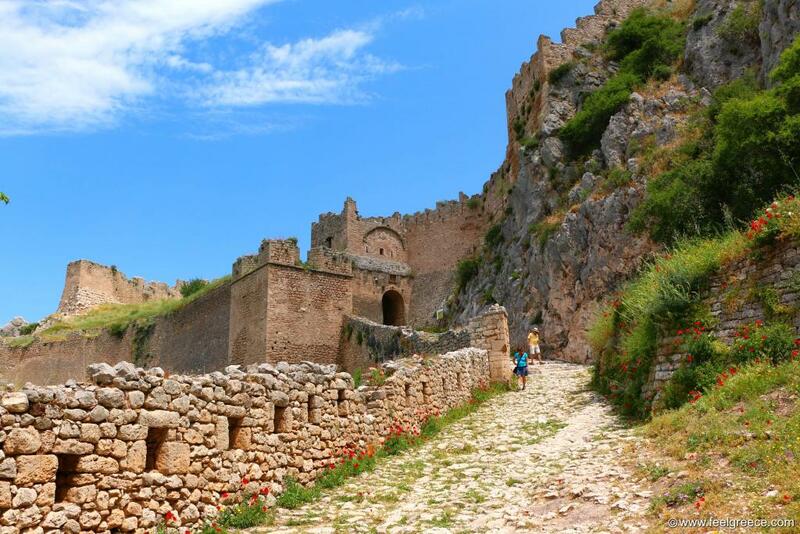 Acrocorinth spreads on a huge area and it is a well preserved fortress, with high walls, gates and towers. Within its border you can also visit the mythical Upper Peirene Spring created by winged horse Pegasus. 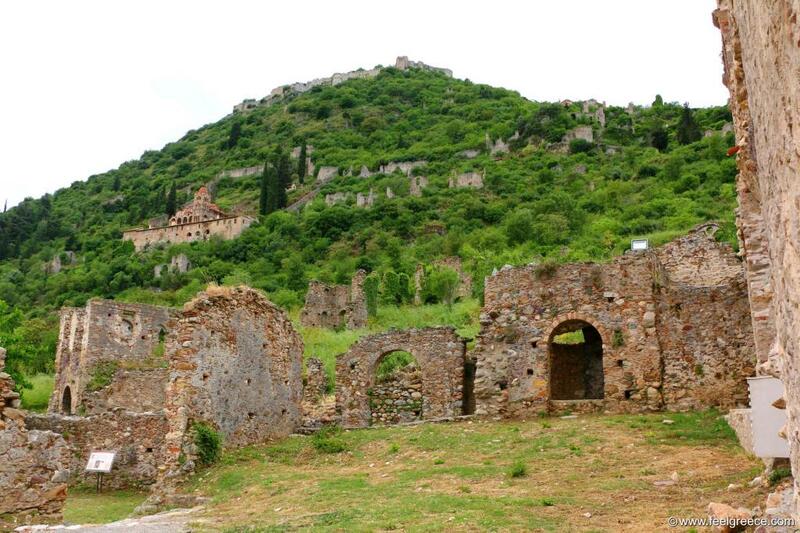 Mystras is a fortified city dating back to 13 century, known as the Second Constantinople of the Byzantine empire. It was built on a large hill near Ancient Sparta and ruins of various buildings are present - churches, private houses, a palace complex and a castle on the top. One of the churches hosts a museum exhibiting jewelry, coins, clothes, pottery, sculpture and other objects from the time when Mystras was a flourishing commercial and administrative center. 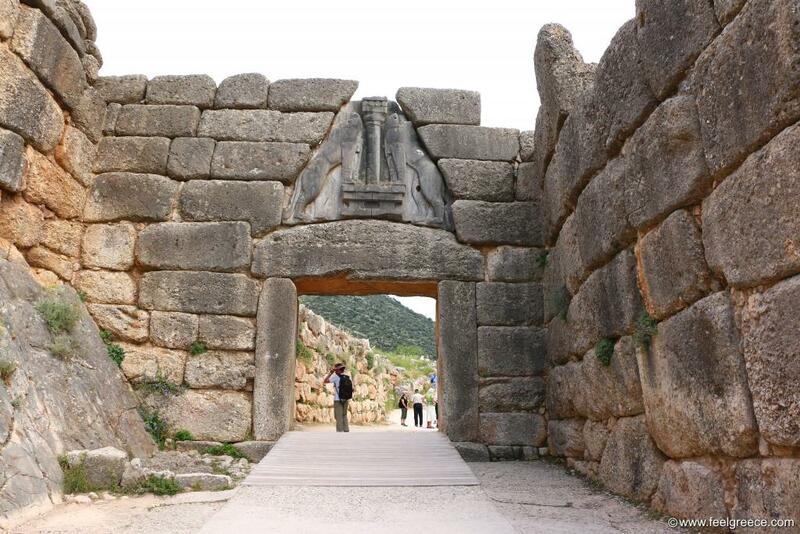 What is left from the home of the Mycenaean civilization can be seen at the ancient site of Mycenae. Special attention deserves the famous Lions Gate, the Cyclopean walls and the museum with a collection of artifacts - pieces of art, fine ceramics, decorations, jewelry, etc. Many have heard about the ancient theater of Epidaurus, impressing with its design, size and extraordinary acoustics. But apart from the theater, the archeological site also includes the most significant sanctuary of Askpleios in Greece, an ancient stadium and an archeological museum. 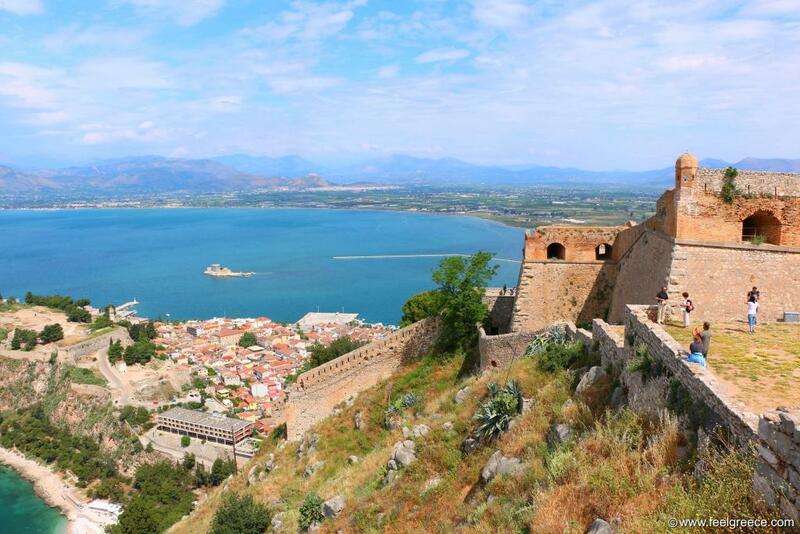 The large Palamidi fortress occupies the summit which dominates Nafplio. Designed by Venetian engineers and built in compliance with the best military principles, it has eight autonomous bastions connected with walls. The bastions can be entered and explored from inside, including the prisoners cells. From Palamidi you can see the Bourtzi islet - another historical mark of Nafplio and Peloponnese. Ruins of over 70 temples and sanctuaries can be visited today at the place where the ancient Olympic Games were held. 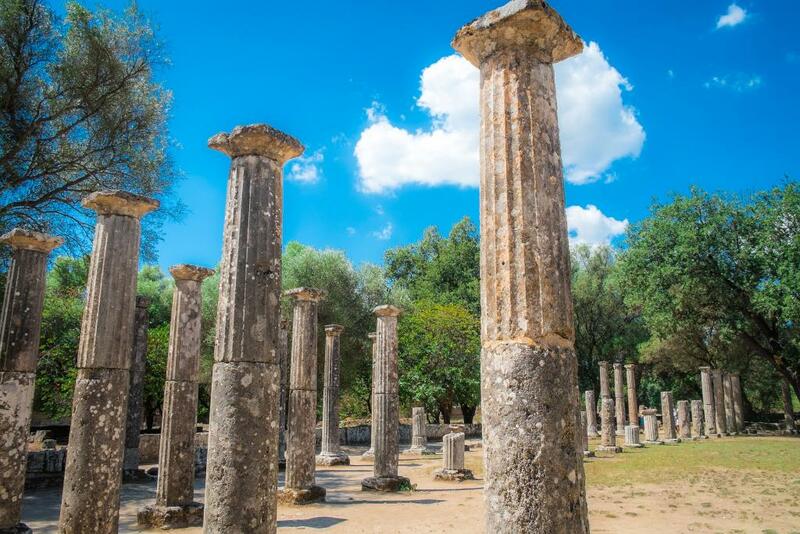 Ancient Olympia occupies a large area where you can see the ancient stadium, the legendary temple of Zeus, the temple of Hera and many other sanctuaries which played important roles in antiquity, along with a big museum with sculptures and other interesting artifacts related to the games. 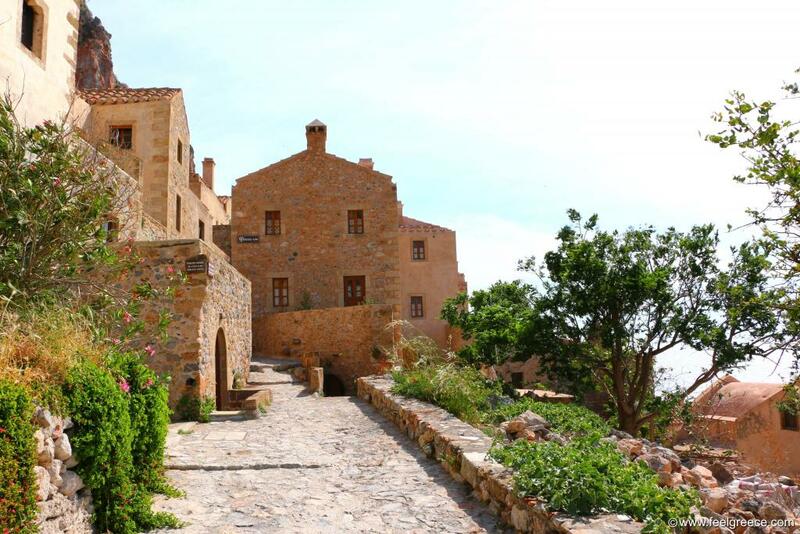 Known as Gibraltar of the East, Monemvasia is a real walk in the past. It is a Byzantine fortified town built in 583 on a small islet which is now connected to mainland via causeway. The town has preserved its appearance, as some of the houses are restored and turned into boutique hotels, souvenir shops, art galleries, cafes or restaurants. The access is only on foot. 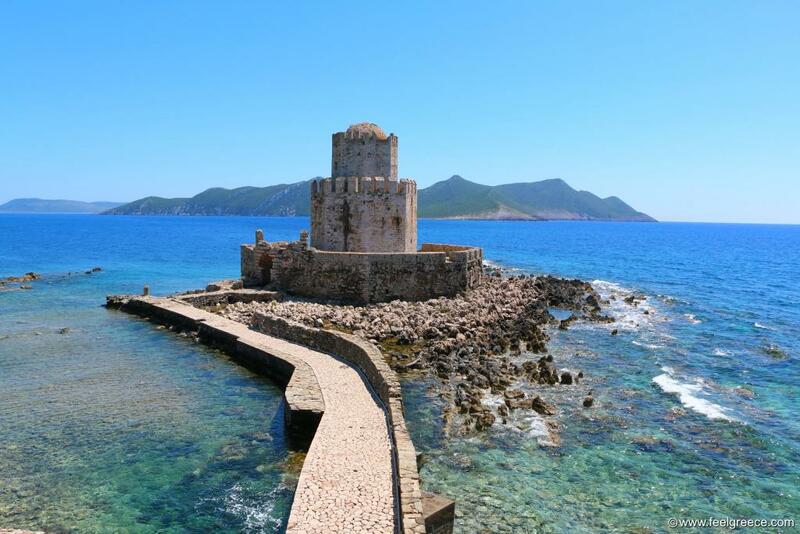 The imposing Methoni castle is one of the many well-preserved fortresses on Peloponnese but it is distinguished by the tower built on a tiny islet and connected to one of the castle gates. Inside the solid walls there are ruins and abandoned buildings, churches and even Turkish bath you can explore. As we said, the historical sights of Peloponnese are so many that you need to check them in advance. If you are interested in antiquity, Ancient Sparta and Ancient Messinia are other sites to visit during your trip. Preserved castles can be seen in Pylos and Koroni, and the ruins of the old Navarino castle are worth the walk because of the terrific view over Voidokillia beach. And Mani, the small peninsula of south Peloponnese, enchants with its glorious architecture where all buildings look like castles. Did you make a choice yet?